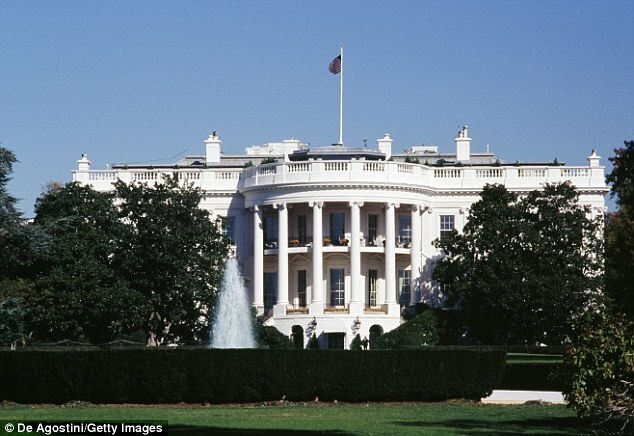 Newly compiled data reveals Google and its affiliates have attended meetings at the White House more than once a week, on average, since President Barack Obama took office. Numbers crunched by the Campaign for Accountability and the Intercept show 169 Google employees have met with 182 government officials in the White House. The meetings took place at least 427 times. The data used spans from Obama's first month in office in 2009 until October 2015, and includes government meetings with representatives of Google-affiliated companies Tomorrow Ventures and Civis Analytics. The Google employee with the most visits is the company's head of public policy, Johanna Shelton, who paid the White House 128 visits. & Internet censorship, smart contact lenses, and cyber security. 'This will allow for companies to create new, innovative, higher-quality, lower-cost products,' the White House wrote in a blog post announcing the initiative. why in the hell do they even care what everyone is looking at online. yes there's scum online there's plenty of it offline as well. not everyone is doing anything bad and not everyone is planning to do evil deeds either. i sure as hell ain't planning it nor do i plan to either. 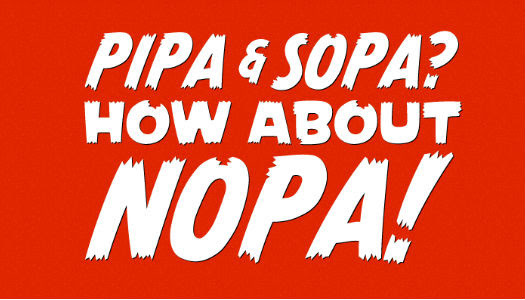 The proposals, including SOPA and PIPA, would’ve streamlined the shutting down of allegedly infringing domain names and threatened to increase liability for third party services, among other things. Fearing broad Internet censorship, the proposals ignited a wave of protests led by various activist groups. But, what started as a small protest movement was swiftly elevated to mainstream news, when tech giants such as Google and Wikipedia joined in. 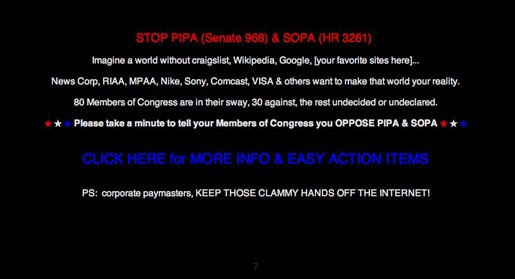 Exactly five years ago, following months of scattered protests, the opposition peaked into a massive Internet blackout campaign. 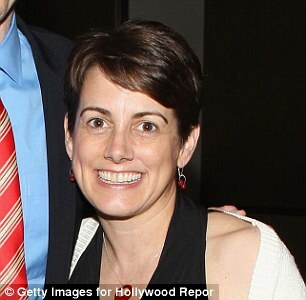 As a result, the balance of power tipped and Hollywood and the music industry were forced into retreat. Soon after the blackout, both bills were declared dead, a victory which is still frequently referenced today. 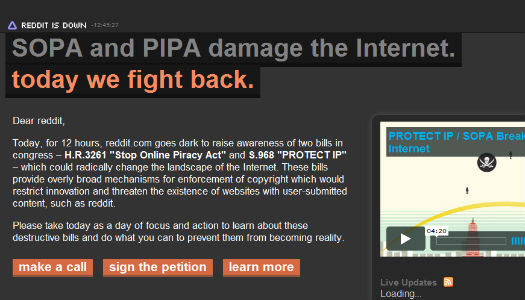 A year after the succesful blackout campaign, 18 January was declared Internet Freedom Day. While the first celebration attracted international news headlines, it’s now become a relatively small event. Still, many of the concerns that were brought up half a decade ago remain relevant today. 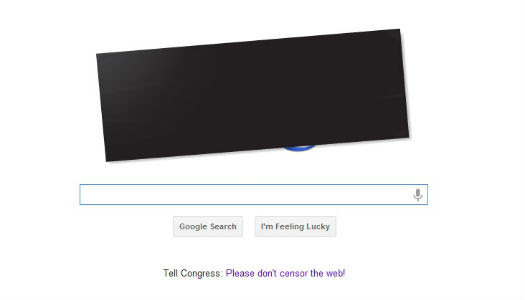 Site blocking efforts and domain name seizures are still high on the agenda, and the same is true for search engine ‘censorship’ and liability for ISPs and other third party services. What has changed is that, instead of tackling these issues through legislation, rightsholders are now focusing on individual lawsuits and voluntary agreements.This means that for activists, Internet Freedom Day could still be relevant now, both as a remembrance and as a call to action. In any case, it’s worth noting that without the protests things could have been very different today. Below are a few of the many ‘blackout’ pages that were up (or down) five years ago. 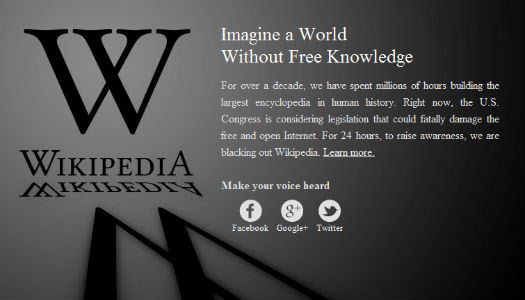 Wikipedia was completely inaccessible for 24 hours, except the pages about censorship, PIPA and SOPA, of course. 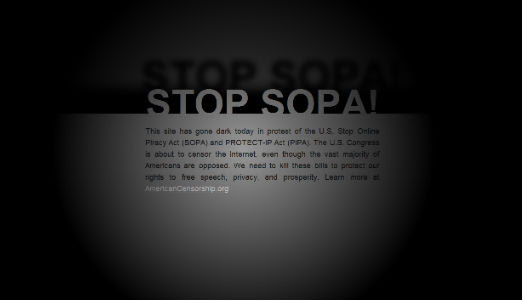 Blacked out its logo to protest PIPA/SOPA and added a link to a resource page where people could take action. 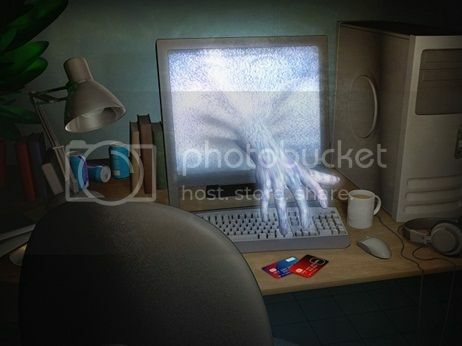 Directed its users to a resource site where they could take action. 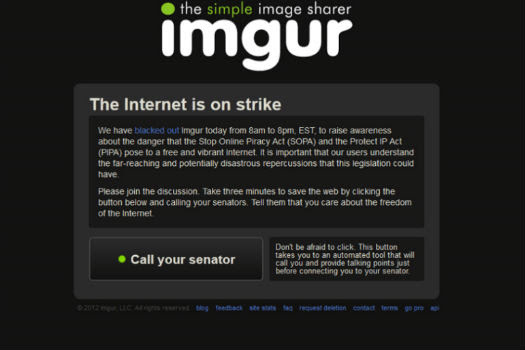 The image sharing site offered information on the protests as well as steps to take action. One of the largest BitTorrent communities at the time, went dark completely, with a nice spotlight effect. 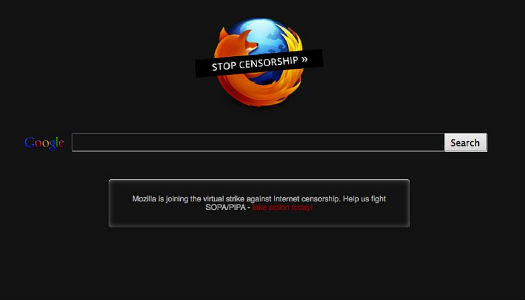 Firefox users were welcomed with a dark themed default homepage, alerting people about the looming PIPA/SOPA threats. The online classified advertisements portal directed the public to a resource site where they could take action. Joined the protest too, and decided to censor itself for the day. The Un-United States of America Must NOT Be Allowed to Control the Internet.... OR THE WORLD!!! while that's great that is over, Trump is STILL trying to put a stop to net neutrality! which is a horrible idea as well, i wonder if the net will fight back than? when that and if that does happen?